The Michigan State Spartans punched their ticket to the Final Four after defeating the Duke Blue Devils by one point. UNITED STATES—This was the weekend that I was waiting for. We went from 16 teams to 4 and it was a ton of surprises along the way. There is nothing more exciting than witnessing a ton of basketball games where the unpredictable happens. Top seeds were upset, underdogs rose to the top, and when the dust settled, we officially have our final four people. I made my predictions a few weeks ago, and while not 100 percent accurate, I did have two teams make the final four: Michigan State Spartans and the Texas Tech Red Raiders. When the dust settled, the only #1 seed remaining is Virginia who managed to overpower Purdue in overtime to punch their ticket to the Final Four. Let’s just say that game was damn close. Purdue had a strong weekend to begin after dethroning #2 seeded Tennessee by five points. In the West, it was Texas Tech who came out as a formidable foe just thrashing the Michigan Wolverines to advance to the Elite 8 before outplaying #1 seeded Gonzaga to advance to the Final Four. I told people Texas Tech was dangerous, we know see why. In the Midwest region, Auburn came out to play. First, they put a beating on the #1 seeded University of Carolina Tar Heels, before eliminating #2 seeded Kentucky in a close came by only six points. Now let’s turn our attention to the East region because sorry, but not sorry my Spartans are headed to the Final Four for the 10th time. They first just ran circles around LSU in my opinion, which ultimately set up the game that had everyone talking on Sunday and the game everyone was waiting for: MSU vs. Duke. Let’s talk about Duke for a minute, because their journey in the tournament has not been a cakewalk. They have had several close games. First against UCF, then against Virginia Tech by a mere 2 points before losing to MSU by a mere point. Yeah, free throws are very important in clutch games people. Missing them can be very costly and Duke learned the hard way as turnovers sunk the Blue Devils. I mean they had 17 compared to MSU who only had 7; those turnovers allow one to capitalize on points which MSU absolutely did up until the final moments of the game. So with the vast majority of the teams out, our Final Four consists of MSU, Texas Tech, Auburn and Virginia. MSU will take on Texas Tech, which will be an epic game. On the other end of the coin, Auburn will do battle with Virginia. So where am I placing my bets? I am placing MSU as a victor over Texas Tech, with Auburn trumping Virginia. 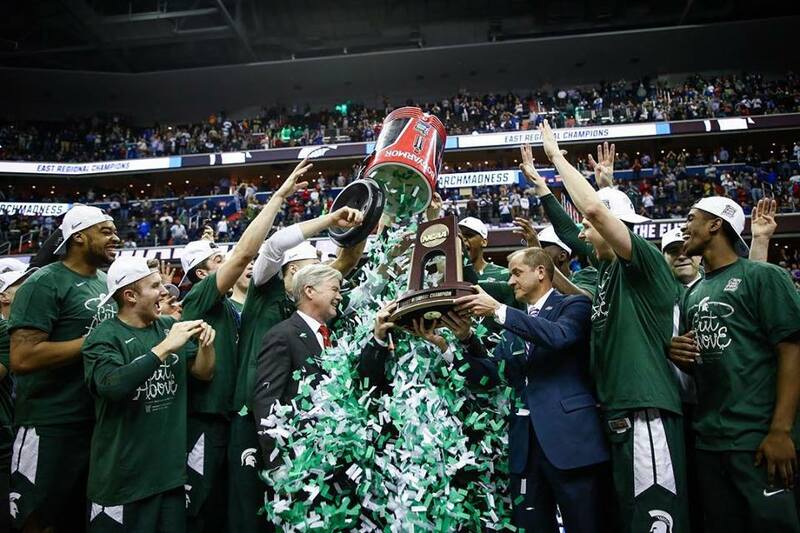 Now, I’ll be honest, I would love to see a MSU and Virginia NCAA Championship game. You know what; I’m going to give the battle between Virginia and Auburn to the only #1 seed left in the game. I think Virginia is hungry and they’re being underestimated. So on Monday, April 8, the Spartans and Cavaliers will be going toe-to-toe for the ultimate prize in college basketball in my opinion. Fingers crossed that I’m right, up to this point this has been a fun tournament so let’s keep that movement going.